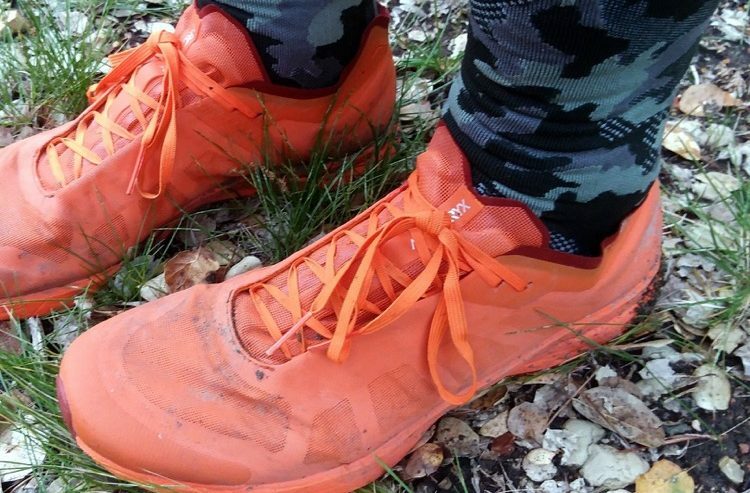 High performance light weight trail running shoes have become something of a lost art. We can probably count on one hand the number of minimalist shoes that are durable enough for long trail miles and rugged enough to handle a wide variety of trail conditions. So anytime a new model comes along that checks all those boxes, the minimalists among us get excited. Such is the case with the Arc’teryx Norvan SL, a new model for Spring 2019 initially designed with Arc’teryx athletes as a lightweight transition shoe for moving between summit climbs on long mountain days. 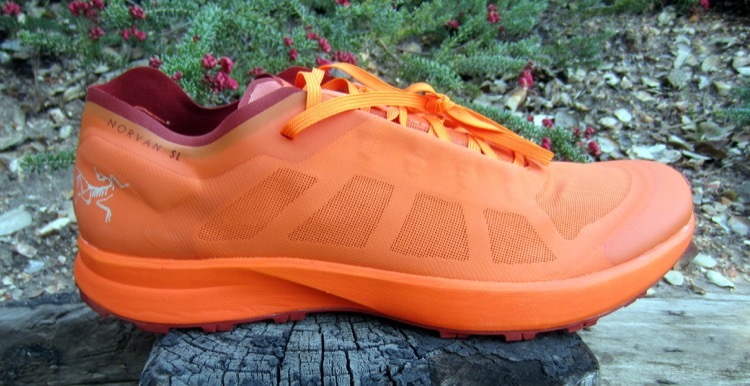 It also turns out to be a great all-purpose trail shoe for moving fast and light on all manner of trails. Their spec weight is among the lowest you’ll find in trail shoes, but there’s enough traction, comfort, and durability to use as a minimalist trainer or an outstanding race shoe for distances up to about 50k. The mesh uppers are hyper-thin, to the point of being translucent, but have enough TPU overlays around the midfoot to keep them anchored to the midsole platform. 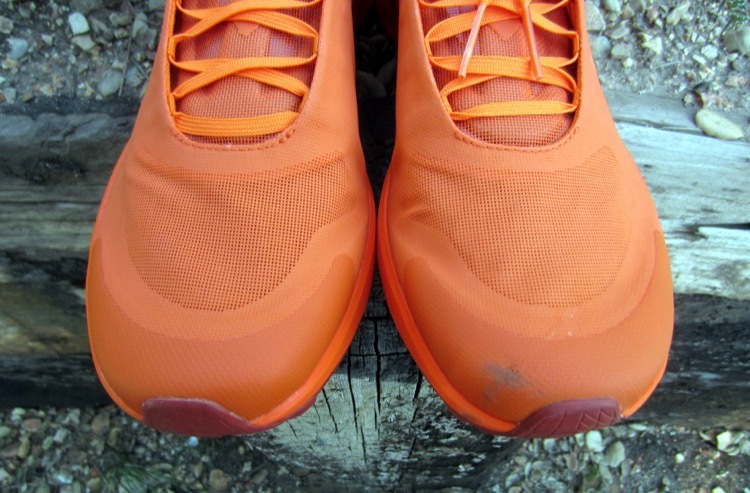 Their thin construction is important to decreasing weight, and there is virtually no rigidity to the upper aside from some targeted light cushioning on either side of the Achilles tendon. This construction is intended to make the shoes easily packable, but it also leads to the primary drawback we’ve encountered: the fit around the ankle can be gappy, which is a source of pebble intrusion. Aside from the ankle collar, fit through the rest of the foot is quite to our liking; the midfoot feels very snug and secure, and the toe box is nicely rounded to allow decent toe splay. One distinction between the Norvan SL and traditional minimalist shoes is the relatively high heel-toe drop of 7mm. This is counterproductive for midfoot strikers, but it also provides an added measure of comfort when moving quickly downhill on a relatively low midsole platform. Add in the firm TPU forefoot plate for extra protection and comfort, and you get the most impressive aspect of the Norvan SL: you can run at high speeds on technical or steep downhill terrain without feeling a significant increase in impact forces like you do with many other minimalist shoes. The Vibram outsole and 3.5mm lugs provide strong grip on moderately technical terrain, as well as during some very sloppy mud running in our testing. 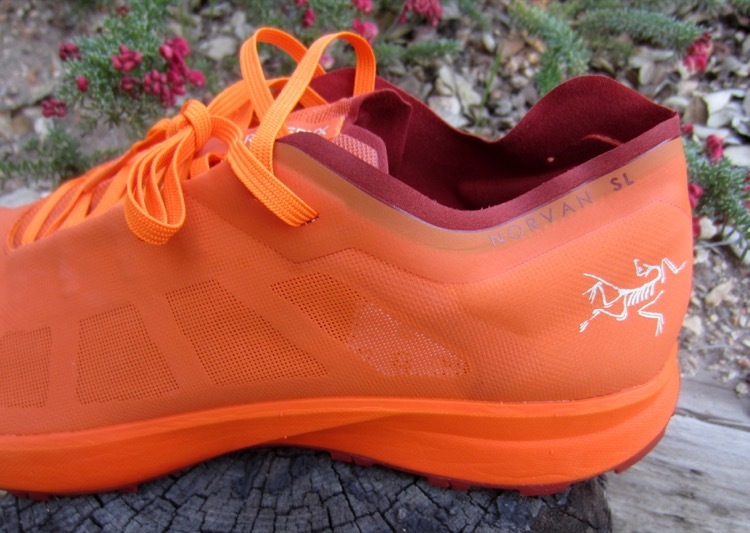 As with other super-lightweight shoes, the Norvan SL isn’t one you can lace up and go for 20 miles unless you’re accustomed to minimalist running – but for those of us who are, it’s an excellent option for fast training days, short(ish) trail races, or just a lot of training miles. We’ve got a couple hundred miles on our pair, with very little sign of wear thus far. 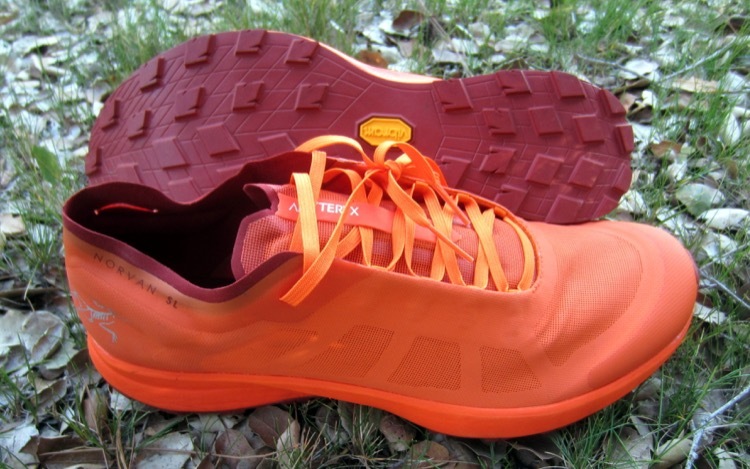 The Arc’teryx Norvan SL trail running shoes are available in both men’s and women’s versions at www.arcteryx.com.